← What About Processed Foods? 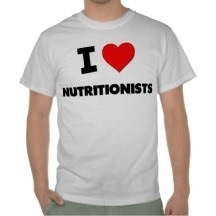 What Would A Nutritionist NOT Eat? My information came from Shape Magazine. Why? They are bad for weight loss with a glycemic index of 91 out of 100, the carb count is too high (I stay away from rice, not to mention that they have high arsenic levels in them) and the sugar high and low is really terrible For your diet and your mood. Don’t fear fat. It is the sugar and carbs to look out for in your food choices. Fat-free has to add sugar or corn syrup for flavor, so you were better off with the fat. Just watch out for the carb count and serving size. High mercury levels salmon has the lowest mercury and in the meantime has Omega 3. That is good. They have empty calories and carbs, they fatten you and you don’t get a full feeling from them. Also, simple sugars lowers your good cholesterol and increases your triglyceride levels (two risk factors for heart disease). Drinking sugary beverages also promotes disturbances in your body’s inflammatory balance, making it harder to recover from exercise and increasing your risk of numerous chronic illnesses. Instead opt for water or a calorie-free infused drink. Another hyper-refined carbohydrate, grits are the small leftover pieces from corn processing. they lack significant amounts of vitamins or minerals. They contain a minute amount of fiber and no essential fats. Their flavor is lacking and thus butter or heavy cream is used to make them palatable, bringing together the artery clogging and waistline expanding simple carbohydrates and saturated fat.